A bumper crop of chefs from the South West and beyond will head to Porthleven this April, bringing a host of Michelin Stars and AA Rosettes. Festival patron Antony Worrall Thompson will open proceedings on Saturday with his traditional cook-off against local chef and two-time star of the BBC’s Great British Menu Jude Kereama. Renowned restaurateur, author and broadcaster Antony returns for his tenth year as patron of the Festival, fresh from The Greyhound and Kew Grill in London. Jude owns Kota and Kota Kai in Porthleven, alongside his wife Jane, and has successfully retained a Michelin Bib Gourmand for four years in a row at Kota including being named the Inspectors ‘Favourite for Value’. Saturday’s programme will feature two other stars of the Great British Menu: winner and judge Emily Watkins who owns the Kingham Plough in Oxfordshire and Josh Eggleton from the Pony and Trap in Chew Manga Bristol. On visiting the Plough, restaurant critic A.A. Gill wrote: “Anyone thinking of opening a local pub restaurant should come here and see the gold standard.” The pub has also received a Michelin Bib Gourmand for three years running, holds two AA rosettes and is one of the Good Food Guide’s top 50 pubs. The Pony and Trap has held a Michelin Star since 2011 and was ranked second in the Estrella Damm Top 50 Gastropubs in 2018. 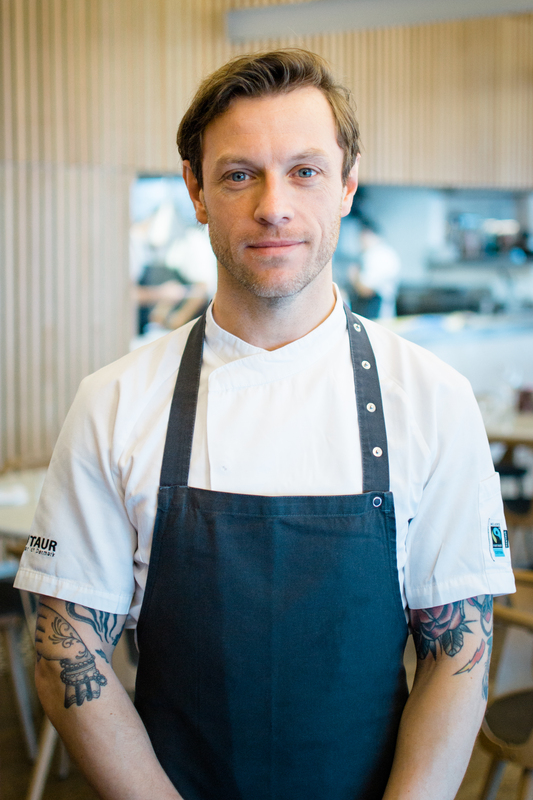 Fifteen Cornwall’s Head Chef Adam Banks and Head Sommelier Elly Owen will present a food and wine-pairing demonstration and nutritionist and author of River Cottage Gluten Free Naomi Devlin will demonstrate dishes from her book Food for a Happy Gut and talking about gut health and happiness in general. Then two local cooking stars will take to the stage. Ross Sloan from the Mount Haven in Marazion brings his love for wild food, nutrition and quirky vegetarian dishes. And then it’s the turn of Italian Head Chef Donato Dondiego from Porthleven’s own Amélies, winner of the Cornwall Life Best Restaurant 2017 and Bronze Award winners at the Cornwall Tourism Awards in the Best Restaurant Category. 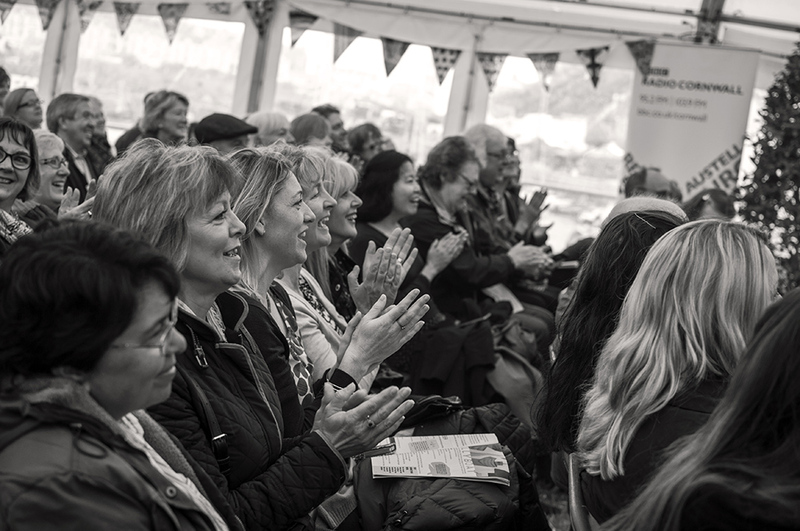 Sunday brings a host of award-winning chefs from Cornwall and beyond to the stage. Cornwall College will open the day with a demonstration by their apprentices, who help every year behind-the-scenes at the Festival and this year have been given their moment in the spotlight. Stew Eddy and Bryok Williams from Pothleven’s restaurant The Square bring the experience and flair that gained them a Bib Gourmand. And Guy Owen pops in from The Idle Rocks in St Mawes, voted Best Chef and Best Hotel Restaurant in the Cornwall Life Awards 2017 and Best Restaurant in the Trencherman’s Guide Awards 2018. And Gareth Ward brings another Michelin Star and 5 Rosettes from Ynyshir Resturant and Rooms in Wales for our final demo of the weekend.